World of Warcraft is the most popular Online Computer Game OF ALL TIME, and with Blizzard’s history of success in the gaming industry, the game will stay on top for many more years. With new expansion pack every year, the game will only be even more popular for years to come. So what are you waiting for? Dont miss out on the rush and get into this high converting niche market today! 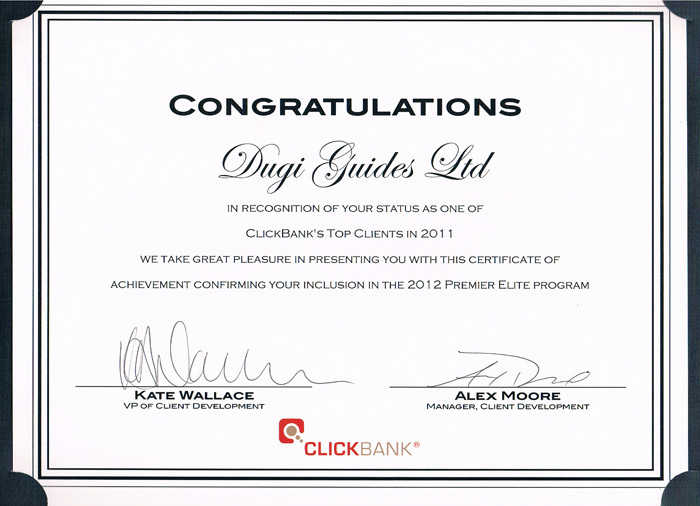 Join the DugiGuides affiliate program and earn money promoting DugiGuides from your website, newsletter list or blog. You don’t need to do any selling… you just send visitors to our site, and earn commissions when they buy something! Easy as that!